Just when you think the prophetic is waning up steps renowned war artist Allan Harding Mackay. A renowned war artist Allan Harding Mackay whose work is in the National Museum sent CBC host of Power and Politics into shock on Tuesday’s show when he ripped up one of his Afghanistan paintings. Mackay was in the finest tradition of the biblical prophets—I’ll choose Jeremiah here-when he expressed his disgust at the direction of the Tory government’s treatment of veterans, aboriginals and in general their shocking ongoing trashing of democracy, what Mackay names as their abuse of parliamentary power. Jeremiah was an old hand at this. From 626 BCE he raved on as prophets do, calling the nation back to its senses. His disgust was a the ruling priesthood of Jerusalem and he was no slouch at using symbols. In chapter 27, Jeremiah is told “Make a yoke out of straps and crossbars and put it on your neck.’ Presumably Jeremiah walked around telling fellow Jews, submit to Babylon. Don’t believe these false prophets that all is OK. You are corrupt. 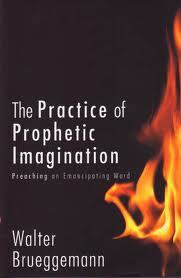 Well put Allan Harding Mackay in that long tradition of the prophetic. He uses a dramatic action to call attention to the present miserable state of governance Canadians are now being subject to. He is telling us to wake up. My favourite piece of disgust is Finance Minister Jim Flaherty’s dropping the corporate tax rate another 1.5% in January to 15%. From 2000 on, the rate has dropped from 28 % to 15 now. This means a loss of about 13 billion a year. That’s a lot of infrastructure not getting fixed etc. I was disappointed in Solomon’s incredulity. This is a smart guy who studied under Grefgory Baum at McGill. Guess he’s forgotten about the prophetic. Bravo to Allan Harding Mackay for attempting to wake us up.